Amazon has just announced a new physical service it’s offering called The Hub. The idea is that The Hub will make sure all your deliveries come right to your door, even when you’re not home. How does this witchcraft work? Basically it’s a big set of smart lockers that will sit in the lobby section of your block of flats. Sorry house owners, there has been no word on personal versions of The Hub just yet. One of the great things about The Hub is that it isn’t just for Amazon deliveries, anyone can use it. 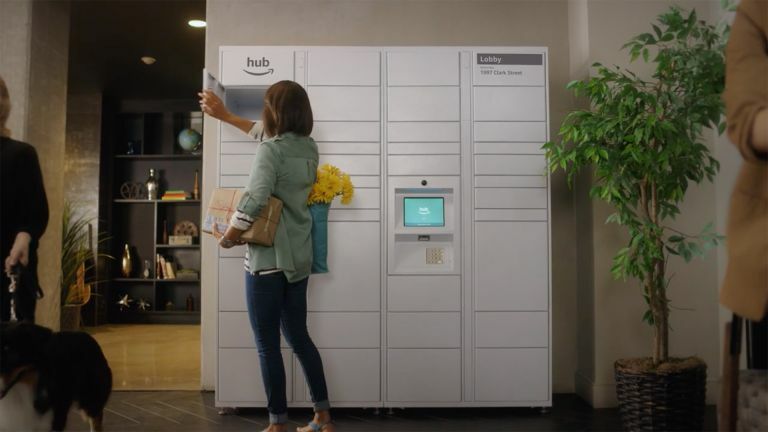 The Hub looks like Amazon Lockers, which you’ve probably seen at stations and shopping centres for years. Since The Hub uses a code to lock and unlock a package, anyone can use it, from delivery companies to your friends and family. There are lots of varying sized lockers so even more awkward packages can be dropped off securely, without bothering your neighbour to leave it there when you’re out. Since The Hub is modular it can be varied to suit. It works indoors and outside and can be attained by any large property owner. Simply fill out the application and Amazon will contact you. How much this costs and if it’s launching right away outside the US isn’t yet clear.